Not all babies are fed at the breast, and that’s okay! A fed baby is a happy baby. However, when a momma wants her baby to receive breastmilk but hasn’t had success with nursing or can’t nurse due to medications or is adopting a baby, she does have options other than formula. Before I go on, this is not in any way a formula-feeding bashing post. Here at Dream Diapers, we believe that a fed baby is a happy baby, and you need to feed your child in the way that feels best for both you and your baby. The health of your body and mind and spirit is just as important as the health of your baby’s, arguably more so, so that you can care for your child. Breastfeeding your baby is NOT what makes you a good mother. Likewise, formula feeding your child does NOT make you a bad mother. Loving your child, keeping him safe, sheltered, warm, and fed: that is what makes you a good momma. However, the effects of mainstream formula advertising often lead mothers who struggle with nursing to turn to formula because they feel there is no other option. It often leads adopting parents to believe there is no other option but formula. These are the myths we wish to dispel in this post. Formula is often quick to be recommended in hospitals because it makes the hospitals money. Plain and simple. A study done in Oregon from 2000 to 2001 found that, “The distribution of these [free formula] packs to new mothers at hospitals is part of a longstanding marketing campaign by infant formula manufacturers and implies hospital and staff endorsement of infant formula.” So the very presence of formula being offered for free in hospitals makes parents feel that the use of formula is more strongly encouraged than breastfeeding, even if that isn’t true. This is especially poignant if the hospital does not have adequate lactation consultation services for their patients. The study found that, “women who received these packs were more likely to exclusively breastfeed for fewer than 10 weeks than were women who had not received the packs.” It’s like setting women up for failure before they’ve had a chance to succeed. Some hospitals have realized this and done away with the free formula packs given in hospitals because they feel “such distribution as distorting informed consent, prioritizing financial issues above patient care, exploiting some women’s fear of inadequacy, and implying medical endorsement of formula.” The formula companies bank on the hospital staff encouraging formula because they dump money into the hospitals. A new mother’s fear of inadequacy is preyed upon as an opportunity to make money because after all, breastfeeding doesn’t make big business much money. I don’t know about you, but when I was pregnant with Lucas, I started receiving free formula samples in the mail as soon as corporate America knew I was pregnant via my purchases at Motherhood Maternity. Not exactly setting us up for successful nursing by choice, eh? My beef is not at all with formula itself; it’s with the way formula companies prey upon the emotions and struggles of new mothers. I don’t think that what they do is fair, and it gives their product a bad rep. A lot of formula fed moms are shamed for doing so; this is even more wrong than the behavior of the formula companies! (More on that later: look for a Nursing Tales post coming up addressing this very issue.) Formula is a life saving alternative to breastmilk. It is a miracle of science that is constantly changing and trying to improve to meet the needs of babies with different needs. It is an option for mothers who do not want to breastfeed or who can’t breastfeed, and while formula is a God-send for many mothers, I’m here to tell you it is not what you HAVE to use. Milk sharing is a very real and widely available option for non-lactating parents who wish their children to receive breastmilk. This is true for mothers who struggle to nurse in a traditional way (at the breast); this is true for parents adopting a baby; this is true for mothers who need to supplement in addition to what they are able to produce. Whether you are the person sharing your milk or receiving donated milk, you are participating in milk sharing, and it is a beautiful and incredible and normal thing. There is a lot of stigma attached to milk sharing- that it is somehow dirty or unfit or wrong. This is a fairly new idea because babies have been nursed by others throughout human history. Sometimes milk sharing gets the stink-eye from formula feeding mommas because they feel like women who milk share are doing so because they feel that formula is “gross” or “not good enough” for their babies, implying that formula fed babies are somehow less deserving, which is cruel and untrue. No matter if it’s formula or breastmilk, what an infant is fed does not determine his worth. Let’s keep in mind that it is important to support all mommas and their choices for their children without scrutiny or assumptions of their motives. Not all moms have such a negative motivation behind their choice to milk share. Sometimes mommas choose to milk share because of cost (informal milk sharing is free or sometimes just the cost of the breastmilk storage bags); sometimes mommas milk share because their babies have sensitive digestive systems or maybe have babies who have been used to breastmilk and don’t want to struggle with changing things up and risking digestive issues. Some mommas milk share because their babies have severe allergies or because their children didn’t do well with formula. And some mommas milk share because they don’t want to use formula, and that’s okay too. It’s not okay to force the formula route on a momma any more than it is to force the breastmilk route. This is about making informed choices for what YOU think is best for YOUR baby. Today, milk sharing continues both formally (Human Milk Banking Association of North America) and informally (read: free but not quality monitored by an organization) (Human Milk for Human Babies, Eats on Feets, etc) and is an option available to you if you need it or want it. It’s an option worth looking into. Milk sharing is an incredible asset to the mothering community. They say, “It takes a village to raise a child,” and sometimes it takes a village to feed one too! Today’s Nursing Tales focus on milk sharing, surrogacy, and exclusively pumping. These mommas fought to give their children and other people’s children what they felt was best in the way they felt best, and along the way, many of them helped to make other mamas’ dreams come true. With the birth of my third baby, I was excited to breastfeed. Well, she came 6 weeks early complete with a tongue tie and lip tie. She also had low muscle tone in her mouth. I started pumping for her in the hospital. She’s 18 months old and still gets momma milk. I’ve donated to 10 different moms and also have about 1,700 ounces in my freezer. I just wanted to tell my story so that other moms know that if breast feeding doesn’t work out, they can pump and be successful at it! My daughter never had a drop of formula. 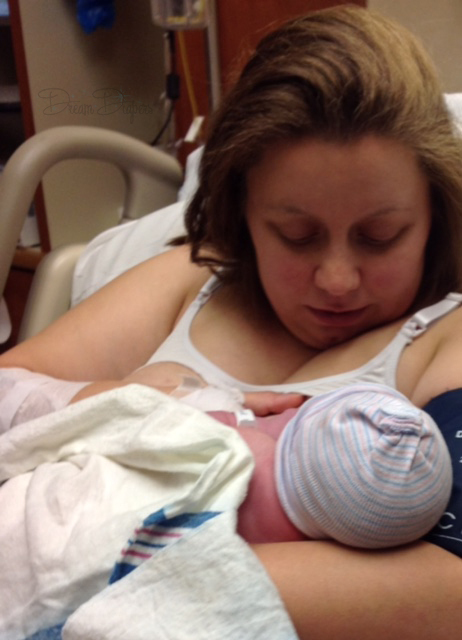 My first child was born in 2012, and boy, did we struggle at first with breastfeeding. Latch troubles. Supply troubles. How I cried while the pump made that horrible repetitive noise, far more times a day than I wanted to hear. We were finally successful, and I nursed my daughter with minimal formula supplementation until she was 18 months old. I was pregnant, then, with her brother, and nursing made me incredibly queasy and resentful. My son nursed like a champ right from the beginning, and at just shy of 15 months is still nursing perfectly well. My sister in law was a huge support to me during my early struggles, and I credit her so much with our success. She is calm and laid back and an easy person to be around. She breastfed her four children and could offer advice and sometimes just empathy. Well, she became a grandmother not long ago to a baby girl born to a drug addict and alcoholic. She was able to get custody of this sweet baby, and it made me sad to think of her on formula when she was so fragile already. So, I pumped! A lot. Suddenly, the sound of the pump didn’t make me cry – it made me feel capable and strong and good to be able to give this gift to another baby! I couldn’t produce enough to give her breastmilk exclusively as well as nurse my son, and they live quite far from us. So I shipped a few boxes of breastmilk; any time I had about 300 ounces! Now, another baby has just been born – another girl, to the same troubled birth mother. We’re all waiting and hoping to have that baby placed in my sister in law’s arms (prayers and good vibes welcomed) and I am filling my freezer anew. The Lalabye Baby and Dream Diapers communities have been so unbelievably generous to me – near strangers have shipped me milk storage bags, breast pumps, a hands free pumping bra, you name it. I couldn’t feel more supported or blessed. Nursing started off great for me. My daughter latched right on 10 minutes after she was born and nursed for an hour. We were doing great the whole time in the hospital. The night we got home, she wouldn’t latch. I pumped a little because my milk had come in, and I figured she was having trouble latching; it didn’t work. I tried; she cried. For 3 days this went on. We went to a breastfeeding support group, and I asked the lactation consultants for advice. They told me she had a lip and tongue tie and gave me some tips. The tips worked well, and I got her to latch again! When she was two weeks old, I made an appointment with a dentist to get her ties fixed, and it was so much better after that. No pain for me, and she had a way better latch! A few weeks later, I started having this pain in my breasts. She had white spots in her mouth. Thrush. Crap. I did everything: I took diflucan, gave her nystatin, bleached my bras, boiled my pump parts, tried that purple stuff (gentian violet). It’d go away, then come back, go away, come back. I don’t think it ever fully went away. When she was around 3 months old, I found a job at a children’s resale store. I only ever worked 3-5 hour shifts, but I’d leave a bottle of pumped milk for her. After a few weeks, she started fighting me while nursing. She would scream every time I tried to get her to nurse. It would take an hour or so to get her latched and feeding. This went on for about a month. She started losing weight. 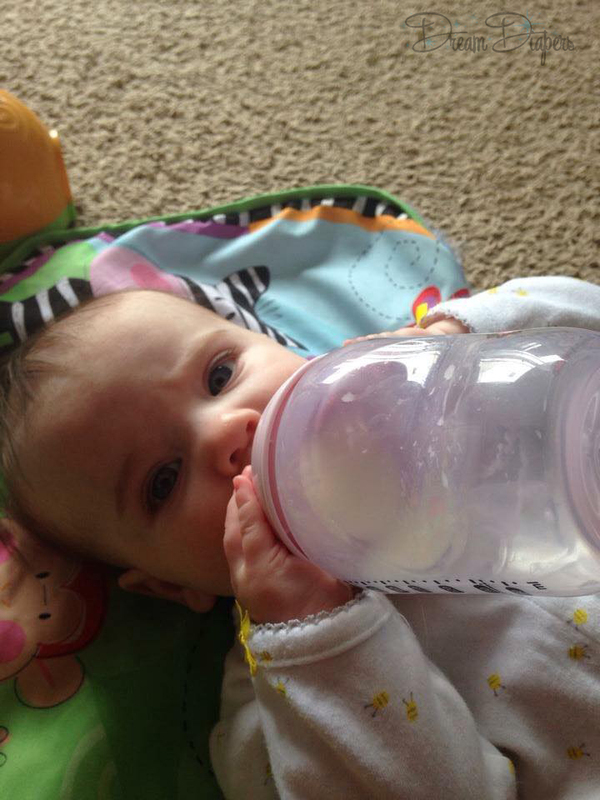 I figured out she was preferring the bottle. I tried SO hard to get her to nurse. At 4 months old, she ended up in the hospital with a stomach bug. I started pumping while we were there and just bottle fed her to make sure she ate. From then on, I was an exclusive pumper. It was rough. Pumping every 2-3 hours 24/7. My supply dropped. I had to supplement with formula here and there. I was heartbroken. I missed nursing. I tried a few times a day to get her to try, but she just wouldn’t have it. I exclusively pumped for 3 months after that. I got mastitis twice in a month and decided I had had enough. I had enough milk in the freezer to get her to 8 months, and I was super proud of that but also very sad. It wasn’t the nursing relationship I had expected. I absolutely loved nursing. I fought to give her the best, and she did get the best for as long as I could give it to her. My story started 10 years ago when my oldest son Logan was born. I had just turned 20 years old, and it was by far the most amazing gift in the world. He was perfect and everything was great, except the nurses in post-partum said he was still hungry and that we should supplement with formula. Being a young first time mom (who happened to be a nursing school student) I believed that the nurses really did know best. Once we got him home from the hospital, our perfect baby had changed. He was crying, and not just a normal baby cry but a terrible painful cry. He had blood in his stool and was projectile vomiting after eating. Our pediatrician first recommended to stop breast feeding immediately and switch to a soy formula. So again, we did. Six months later and many gastrointestinal specialists later, he was diagnosed with a severe milk protein allergy. Once diagnosed, he was put on a prescription amino-based formula that was crazy expensive. Logan stayed on that formula until he was 18 months old and was weaned off to soy milk. By the time we conceived our second son, I was slightly more prepared; however, we were told by doctors that the chances of having two kids with the allergy were very slim. I knew from the start not to supplement and just nurse, nurse, nurse. Again, in the hospital, we had the perfect newborn. About two weeks later, we noticed similar symptoms to Logan’s even though we had not supplemented at all with any formula. We got into our GI specialist and started the testing immediately since Logan’s diagnosis had taken so long! Tests came back positive for the allergy, and I was devastated. Immediately, they recommended the amino-based formula again. At the time, I thought this was our only option. Between my second and third sons, I was a gestational surrogate for two separate families. I carried twins both times and was able to pump successfully and feed them all for the first few weeks of their lives with no problems! It felt wonderful to be able to give that to them. I only donated for a few weeks because it was too expensive for them to ship the milk overseas where one set of the parents and twins lived or across the country where the others lived. The parents were shocked when I offered it in the first place while pregnant, but they were so happy to receive such a gift! As a surrogate, it’s pretty common because we automatically get milk with a pregnancy…why waste it? Parents who are adopting who have not been given the choice to receive donor milk from the mother can access donor milk from milk banks or can even induce lactation. I find it amazing that a mother would go through so much to bond in that way and have the choice of that option for their new child! Fast forward 7 years after giving birth to Lucas, we were surprised with our third son. It was the most amazing gift to be able to have a baby around again, and we did an enormous amount of research this time during the pregnancy, being older and wiser. After having Lucas, I became what’s known as a “crunchy” mom. We cloth diapered, baby wore, practiced attachment style of parenting, but the breastfeeding was never successful for long, and I wanted it badly. I knew that I wanted to be successful this time. I wanted that kind of bond with what would likely be my last newborn. I wanted that closeness. I didn’t want to hassle with bottles and formula, not to mention the cost when I could make milk for free. 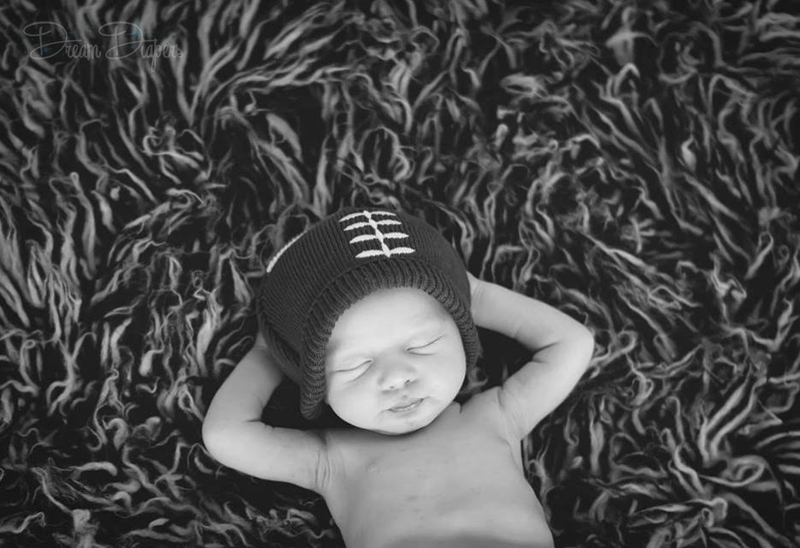 Huntley was born October 29, 2013 by c-section after a failed v-bac. I was already disappointed because I wanted my last birth to be perfect! I was nervous that with a section we wouldn’t get immediate skin to skin and our breast feeding relationship would suffer. Thankfully, after his birth, we were able to nurse almost immediately. He latched right on, and it was amazing. I never supplemented in the hospital and actually refused to take any formula home with us from free samples. About two weeks later, he still wasn’t back up to his birth-weight, and the doctor was starting to get concerned that he wasn’t gaining enough weight. We did daily weight checks at the pediatrician before and after nursing, and everything seemed to be going okay as far as how much he was getting. We met with a lactation consultant from the hospital who mentioned to us that he had a pretty severe posterior tongue-tied as well as a lip tie. She was an amazing resource and got us connected with a dental surgeon that was able to fix it that afternoon. I was terrified at the thought of having my tiny four week old baby having the inside of his mouth lasered, but it turned out perfectly. Within minutes, his latch was less uncomfortable for me, and he fell asleep a few minutes after suckling. At this point, I kind of thought that we had a miracle going on: not only did he not have the milk allergy that my older two boys had, he was also nursing perfectly, and his weight was very slowly beginning to rise. Then, at his 4 month check-up we received the devastating news that his weight was not at where they wanted it to be, and Huntley was labeled as “Failure To Thrive.” I had tons of information and made sure that they were going off of a breast-fed baby growth chart and also had met with a lactation consultant that agreed he was not gaining as much as he should be. I thought that this was the end of our breast-feeding journey. 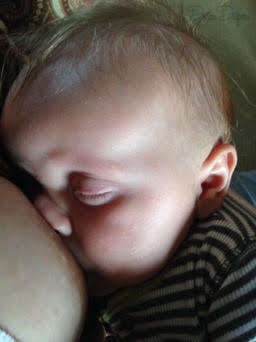 I laid in bed and cried to my husband, who didn’t honestly understand how much I needed to be able to breast-feed him. I fought with myself over and over trying to decide what was best for my baby. Should I just give him formula? See if he tolerates it? Maybe he would be okay, unlike my other two! I just was not ready to give it up. I refused the doctor’s recommendation to supplement with formula despite having a bottle made and ready to feed to him one day right before he nursed to sleep. I had decided that I didn’t want this to be the end. I had remembered learning about donor milk when I was a surrogate and wanted to know what I could do with my milk when the twins that I had returned back home. I began my search looking for a donor. I knew that you could buy it from the milk bank, but I was really hoping to establish a personal relationship with someone who I knew had the best interest of my baby. I joined the Facebook group Human Milk for Human Babies and was amazed at the generosity that I was seeing on the page. As a surrogate mother, I can completely understand doing something completely selfless to help someone else, but I had no idea that so many people were doing this! I was personally messaged by multiple people on my friends list who wanted to help! A friend I knew from preschool donated. A neighbor I had donated. A friend of a friend donated. It was amazing. My entire community was rallying around me to help my son! A friend of a friend got me in touch with my long-term donor. Her name is Jennifer, and she is one of the most important people in our breast-feeding journey! There are no words of gratitude or enough to say how grateful I truly am for what she gave Huntley. She started donating to him when he was four months old and continued until he was 13 months old. She was an exclusive pumper for her son Jadin, who is about eight months older than Huntley. Not only was she able to pump enough for her son to be sustained, she was also sustaining the life of my baby at this time as well! By his 8 month specialist appointment, Huntley was no longer labeled as “Failure To Thrive,” and the dietician even commented on his legs rolls at the appointment! I continued to breast-feed as well and started the process of figuring out why he wasn’t gaining weight. My lactation consultant was able to put us in touch with someone at the hospital that could test my breast milk. The test came back showing that my milk is about half of the normal calorie total of most people’s breast milk. We can now joke that I produce skim milk! However, at the time, it was another devastating blow. With Jennifer’s donations, pumping and nursing, Huntley was never given a drop of formula! 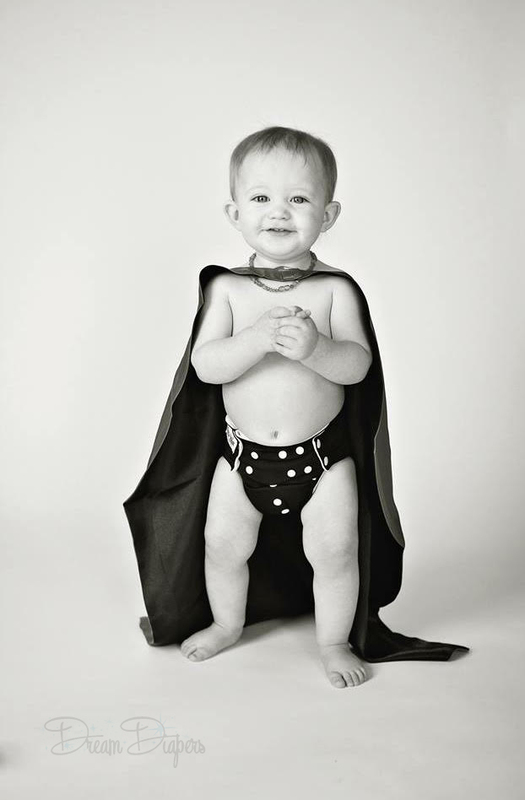 He was on donor milk until 13 months and continued nursing until just shortly after that. I am beyond thrilled with how it ended. He was happy; I was happy! Without Jennifer’s gracious donations, we would have been forced to switch to a formula that he may not have tolerated, and it amazes me that she was willing to give him what he needed for so long! She is a truly amazing person. Huntley is now 25(ish) lbs and is 21 months old and is thriving just fine! I hope you’ve discovered that there are alternative options to formula, and if you still choose formula, that’s okay too. Know that you are supported however you feed, just feed with love. But somehow, breast feeding gives more benefits than bottle feeding. The topmost benefit is child’s immunity towards diseases. Hence, if I were to become a mother, I will make it a point to breastfeed. Well of course, granted I am physically capable of doing so.